A Conservative cabinet minister was confronted at a pre-election rally after he refused to commit to ending indefinite detention of asylum seekers. Tory Culture Secretary Sajid Javid was put on the spot at the Citizens UK’s pre-election assembly in front of 2,200 voters at Methodist Central Hall, where he took the prime minister’s place at the podium. At the event, leaders of the main UK parties were invited to respond to four commitments asked for by Citizens UK: ending indefinite detention of asylum seekers, paying the living wage, improving social care, and using 1 percent of banking fines to start a credit union foundation. At the rally in Westminster, Javid initially received applause for fulfilling previous demands – a cap on the cost of credit and an end to the detention of children. 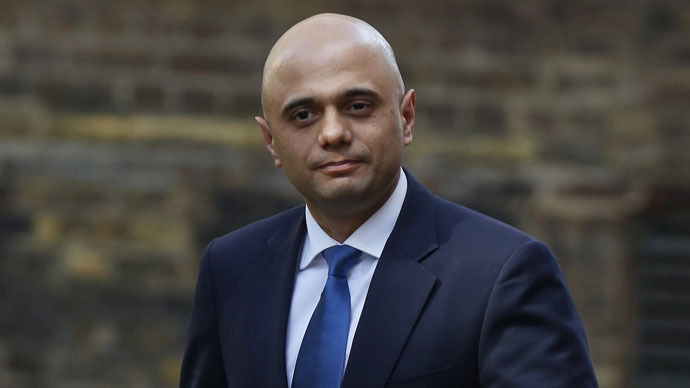 However, responding to the request for a time limit on detention, Javid said a cap was “arbitrary” and could encourage people to “delay and frustrate” the system. His answer was immediately challenged by Zrinka Bralo, director of the migrant and refugee group Forum, and a former refugee from Bosnia, who escaped the genocide. Prime Minister David Cameron had initially promised to attend the event. However, he sent his most junior cabinet minister in his place to explain and defend the Conservatives’ stance on the key requests made in the Citizens UK manifesto. Javid also refused to promise that the prime minister would meet with the Citizens UK group twice in the course of the coming Parliament. Meanwhile, Labour leader Ed Miliband, who also attended the event, pledged to boost the pay of low-paid Whitehall workers within 12 months if he becomes PM. He also said in contrast to the Conservatives, Labour would end indefinite detention as well as detention for pregnant women and victims of sexual assault. Nick Clegg, leader of the Liberal Democrats, also spoke at the rally. He agreed to many of the group’s demands including an end to indefinite detention, and paying the living wage to everyone in central government departments by next year. Thousands of migrants are detained under the controversial Detained Fast Track (DTF) program, which was set up in 2002 to deal with the uptick in asylum applications. Since 2008, The UN High Commissioner for Refugees has expressed concern about the program, calling it unfair and noting that the UK uses detention in asylum procedures much more often than other European countries.